GOLETA, Calif., April 3, 2019 /PRNewswire/ -- Teva®, a division of Deckers Brands (NYSE: DECK), announces their partnership with Huntington Beach based Publish Brand this spring. In addition to a limited-edition Original Universal Premier sandal, the collaboration includes a Teva x Publish Brand Tee and Legacy Jogger pant. Combining casual and contemporary with traces of military prep, Publish Brand reimagines standard streetwear with a modern spin. 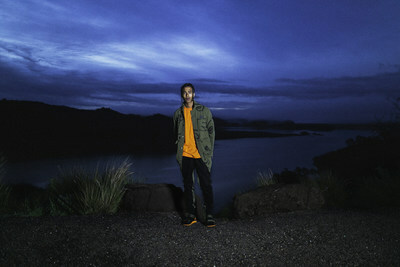 Eclipsing the realm of art and fashion, the label partnered with Teva to launch a versatile collection that merges Teva's outdoor roots with Publish Brand's utilitarian aesthetic - creating a down-to-earth streetwear capsule collection. "We are extremely excited to partner with Publish Brand. Merging streetwear with the rugged functionality of Teva, this collaboration draws inspiration from opposing aesthetics to create one cohesive collection," said Erika Gabrielli, Senior Marketing Director at Teva. "The collection represents a creative exploration of expression and design where outdoor intersects with street in a fresh way for fans of both brands." The curated men's sandal, tee and jogger are a unique culmination of inspiration that transcends traditional streetwear. The collection celebrates bold color with safety orange, designed to pop in the great outdoors, and olive green, intended to camouflage into the scenery. The clash of metaphors marries both brands' ethos into one cohesive head-to-toe collection. The Original Universal Premier sandal captures the utilitarian style and adventurous spirit of Teva's classic sandals while taking a new approach tailored for today's modern man with a custom military-inspired webbing pattern, designed exclusively for Publish. The style features a black strap with a green border creating a contrast against the safety orange midsole and tri-ring – bridging these seemingly opposing aesthetics to create a unique marriage of design. Complete with a Publish Brand label on the back strap, the sandal is quick drying and features Teva's signature hook and loop closure for easy adjustability. Retailing for $100, the sandal has a responsive FloatLite™ footbed to cushion the foot for all-day comfort and a full rubber outsole for durability and traction. This collaboration features the Teva x Publish Brand Tee, available in orange and constructed from a brushed microfiber fabric that features a Teva branded front pocket. Complementing the tee is the Legacy Jogger, the most iconic piece from Publish's line, customized with reinforced saddle and thigh seams featuring the Teva x Publish Brand signature webbing. The Legacy Jogger features Durable Water Resistant (DWR) coating that repels water while liquid stains slide right off the repellant fabric. The style is durable yet fashionable, as the relaxed rise and tapered leg are designed to be paired with the Original Universal Premier sandal. The Tee retails for $40 and the Legacy Jogger pant for $92. The Teva x Publish Brand capsule collection is available online at Teva.com, PublishBrand.com and select retailers while supplies last. Pioneered in 1984, Teva stands for freedom in footwear. Teva believes that how you choose to live is the ultimate form of personal expression and our products are crafted to be accessible, versatile and a celebration of the independent spirit. Creator of the original sport sandal over three decades ago, Teva products are now sold in over 40 countries worldwide. 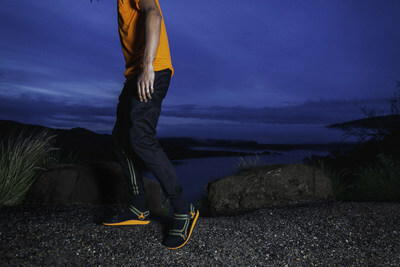 For more information on Teva, a division of Deckers Brands, please visit www.teva.com or follow @Teva. Publish Brand Inc. is a cut and sew apparel company dedicated to design innovation, delivering timeless products for the modern man to elevate every day style and utility. Through quality craftsmanship and creative ideas, Publish Brand manufactures premium garments uniting the vast worlds of art and fashion since 2009. For more information, visit publishbrand.com.